Mane Shop Fronts install aluminium shop fronts in Carlisle, all of our shop fronts are made from high quality aluminium section, they can be powder coated to any desired colour and come in any design you require. If you contact Mane Shop Fronts with the size of your shop front we will send you a quotation along with a drawing within 24 hours so if you need a shop front in Carlisle please get in touch today. 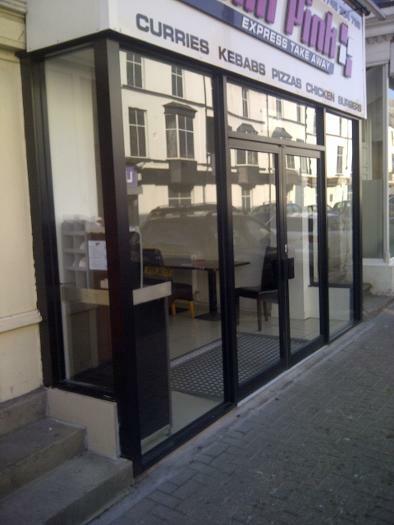 Mane Shop Fronts carry out repairs to shop front doors in Carlisle, Mane can replace door closers, floor springs, bottom pivots, drive arms and locks for shop front doors. 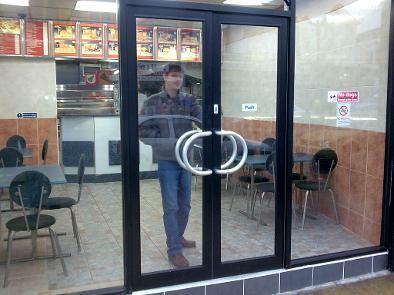 Mane can replace existing shop front doors without the need to replace your full shop front, we can provide you with a shop front door that will match the colour and style of your old shop front.